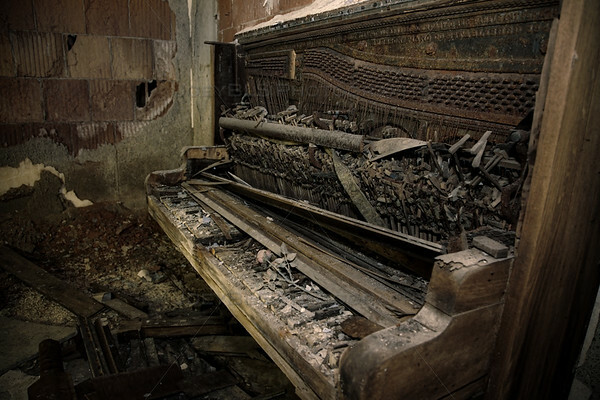 An old, rusty piano still remains inside of the former City Methodist Church in downtown Gary, Indiana. The City Methodist church closed it’s doors for the final time in the early 1970s, leaving many things behind, including this old upright piano. Check out more of my urban exploration photography from across the United States! Old Rusty Piano by Joey B. Lax-Salinas is licensed under a Creative Commons Attribution-NonCommercial-NoDerivs 3.0 Unported License. Permissions beyond the scope of this license may be available at http://www.joeyblsphotography.com.